One of the best things about summer that we all seem to look forward to is getting outside and cooking a nice meal. Whether it is a simple family gathering or something larger like a friends and family celebration, the experience of eating outdoors is something really special. Sadly cooking outdoors isn’t always a possibility thanks to cold temperatures, rain, and even sometimes angry neighbors. Thankfully you don’t need to let any of these things ruin the fun due to the advent of the indoor grill that allows you to give your food the same grilled texture as with a BBQ. Indoor grills are not just great for parties but can be used for day to day cooking thanks the fact that they are quick and easy to use as well as really simple to clean. 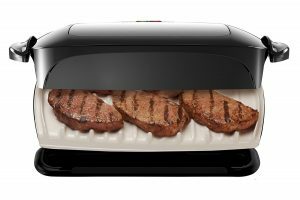 So if you are looking for the best indoor electric grill then look no further as we have compiled a list of the best and the brightest that are available on the market today. The simple truth is that there is nothing better to snack on than something made with grilled bread. The same can also be said for meat like steak and burgers. Seeing those familiar blackened grill lines across your bread or meat heightens the anticipation of the delicious meal that is to come as well as making it taste better too. 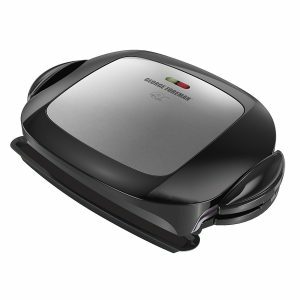 In the past you had to head to the local restaurant or light up the BBQ to get good quality grilled food, but now with the electric grill, you can cook delicious grilled food from the comfort of your own home. 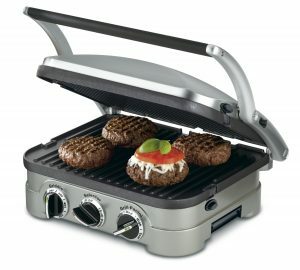 What to look out for in a good quality electric grill. There are two types of grills that you can buy. 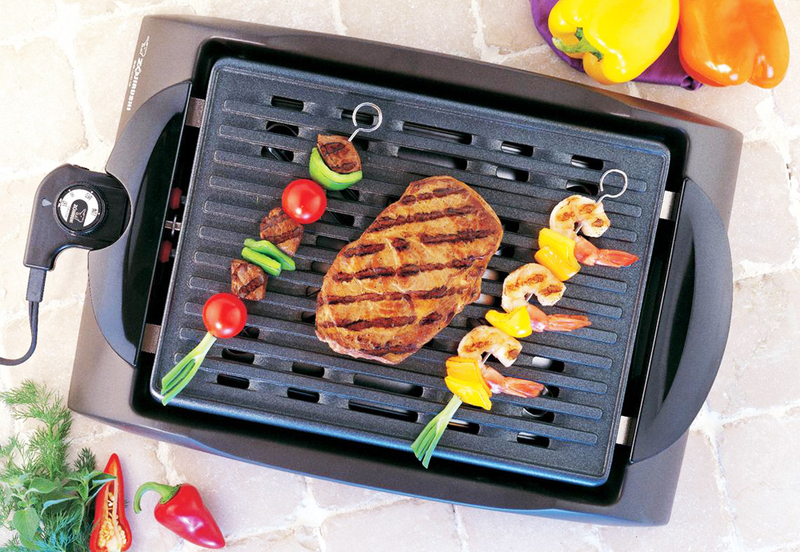 The open grill is essentially a flat grill that has been designed to work in the same way as an outdoor grill or BBQ. These grills are generally less popular as they require a person to flip the food when one side is done and so take longer to cook. Some of these types of grills do come with a close top or lid to help trap heat and therefore speed up the cooking experience, which offsets the speed disadvantage. 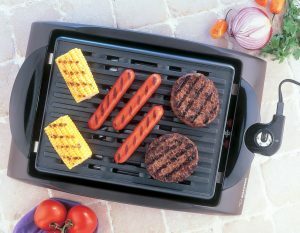 Contact grills feature two grill plates, one on the bottom as well as one on the lid. This type of grill is the most popular as it requires much less effort on the part of the chef since you only need to close the lid and both sides will be cooked evenly. Another advantage of these grills is that your food will be heated evenly when you remove it, which obviously gives a better dining experience. 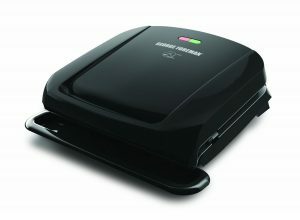 If you are looking to make the perfect grilled sandwich or toasty then this the type you should choose. 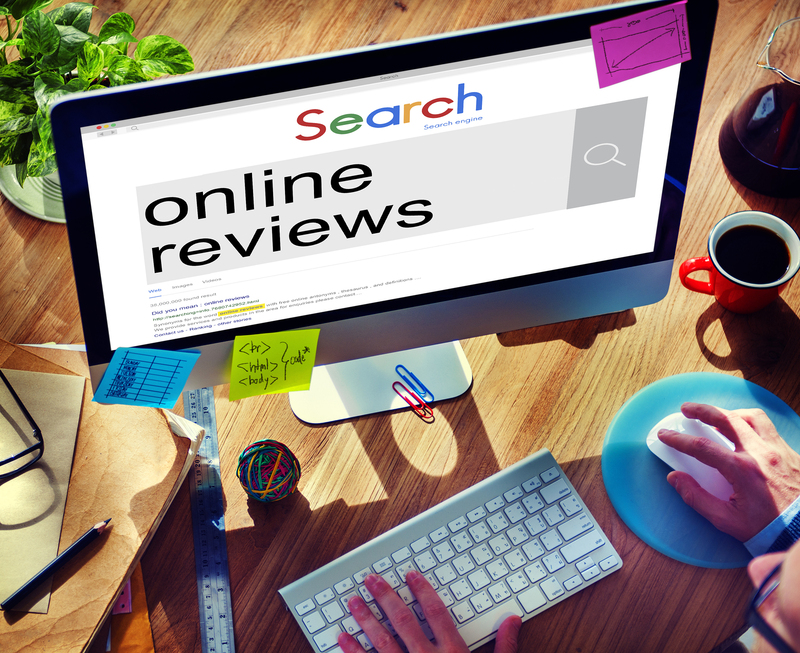 As with any product, price is one of the most important factors when it comes to deciding on which one to buy. Since grills can get quite expensive, it is a good idea to sit down and come up with a reasonable budget for how much you are happy to spend when factoring in how much you intend to use it. If you are on a budget then there is no point in spending a huge sum of money for a grill if you don’t really intend to use it that often. Home grills come in a range of shapes and sizes. Most standard grills will be designed to allow you to cook either 2 or 4 slices of bread at one time. To decide on which one to buy, you really need to think about how much cooking you plan to do and where you want to put the unit when you are not using it. Since most designs are portable, they can be stored in a cupboard to help free up workspace, but some do take up a fair amount of room. Generally, the 4 slice size is the one to choose as it allows plenty of cooking space, so it is particularly useful if there are more than two people in your family. Should you have a larger number of people to regularly cook for then there are also extra-large plate grills that you can purchase for indoor use. The unit’s power output is something quite important to consider. Most grills have a power output of anywhere between 800 and 2000 watts. The higher the wattage, the hotter the grill can become and therefore the faster you can cook your food. When searching for a good quality grill, you will need to pay close attention to its functions. Some grills are fixed temperature units, meaning you cannot adjust the temperature but instead must take care to keep a close eye on your food as it cooks. Others have adjustable temperature setting controls to give you better control of how you cook your food. You should make sure that it has easy to use controls that will allow you to quickly adjust the heat to the temperature you need. We recommend a turn dial temperature control as this is easiest to use and make rapid temperature adjustments in an emergency. 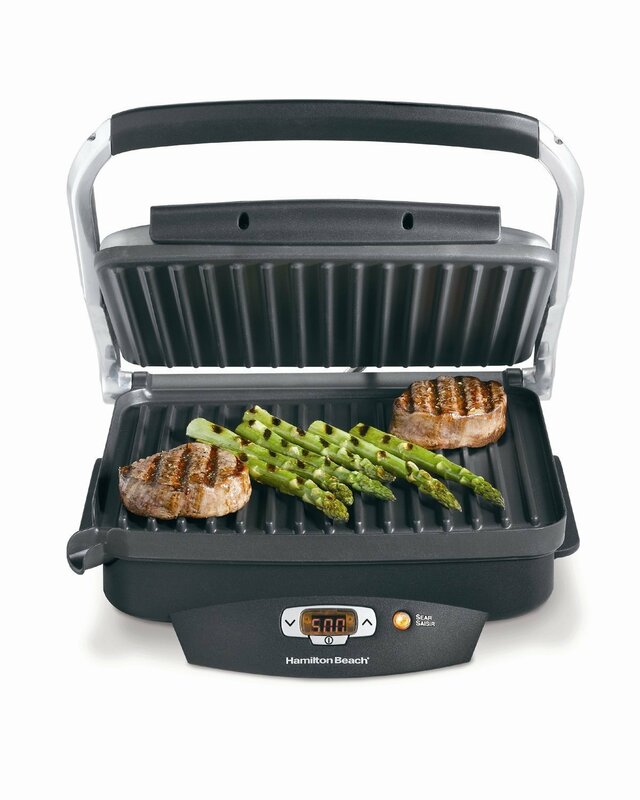 It is definitely worth looking for a grill that comes with an automatic cut-off switch that activates either when the grill reaches a certain temperature or is on a timer. Some products come with an adjustable timer to make this process even more user-friendly. This feature will definitely help to prevent all those burned sandwiches and burgers that plague grilled food lovers everywhere. The most important thing about the plates is that they should come with a nonstick coating to help prevent food from sticking and then burning. These nonstick plates are also healthier as they eliminate the need for you to add extra oil in order to prevent food from sticking. This makes cleaning the grill plates much easier too. To make life easier, you should try to buy a grill with a detachable grill plate as this will allow you to clean them easily. Though plates are not generally difficult to clean, poorly designed non-detachable plates can trap food in the gaps and therefore end up being quite a pain to clean properly. Thanks to a really successful advertising campaign featuring the big man himself, the George Forman grill will forever be the product we think of when asked about great grills. 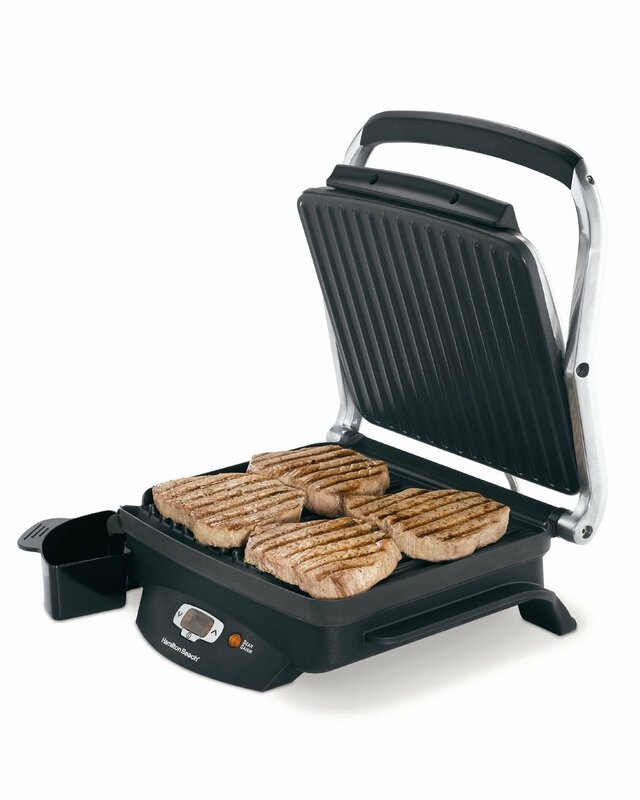 But the truth is there is a lot more to the George Foreman grill than just a successful advertising campaign. The grills themselves are superbly designed and are made to really high standards of quality. This grill has a huge 60 inches of cooking space that will fit 4 slices of toast or patties in one go. 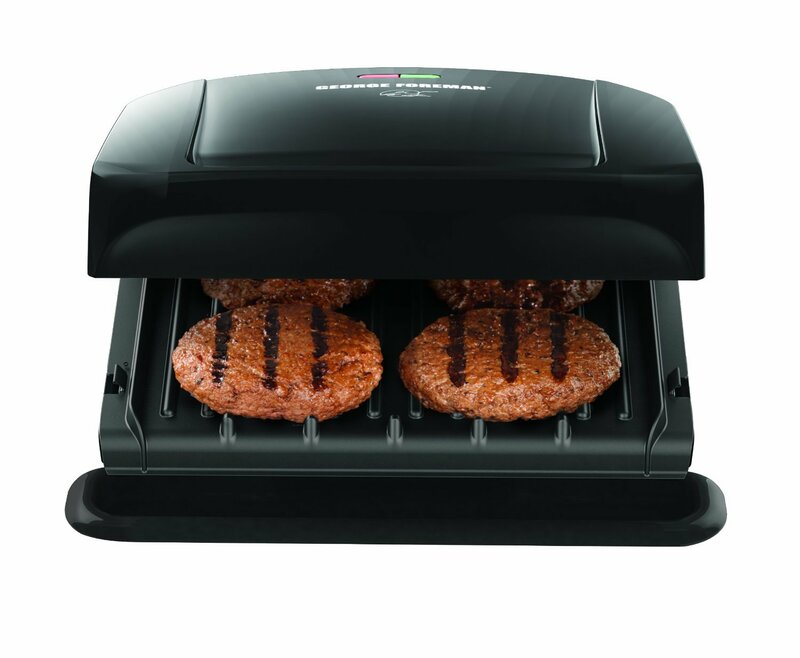 The grill is quick to heat up and will cook even the largest patties in less than 10 minutes. This increase in cooking power comes from a recent redesign that has led to an increase of 35% in power. 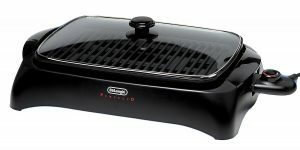 It gives this grill some really phenomenal cooking power that makes it excellent for preparing meals for even a large number of people. It is a contact design meaning that it has both a lower and upper heated plate to help cook your food faster and with less overall trouble. The plates are removable for easy cleaning and can even be machine washed thanks to them being 100% dishwasher safe. This model comes with fat slope drains that help to drain away the excess fat that might seep from your meat, and help you make your delicious meals even healthier. The company claims that this feature helps to reduce fat by as much as 42% which is achieved without you ever needing to lift a finger. There is certainly no doubt that Hamilton Beach make some excellent kitchen products and this is definitely one of them. Probably the most beautifully designed grill on this list, it gives a tremendous all-around cooking experience. 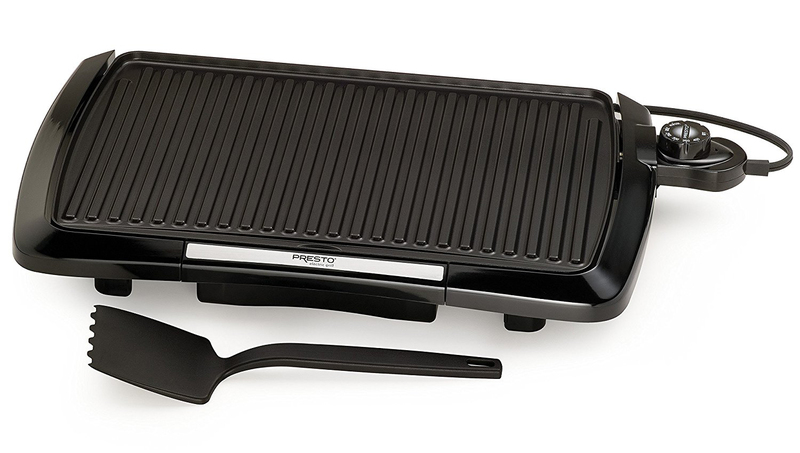 As an open design grill, it comes in a fabulous black and chrome design and has an easy to open and close lid. The lid is removable for those of you wanting to get a little bit of a more authentic feel to your cooking. When left on, it really helps to cut down on all that unwanted smoke. 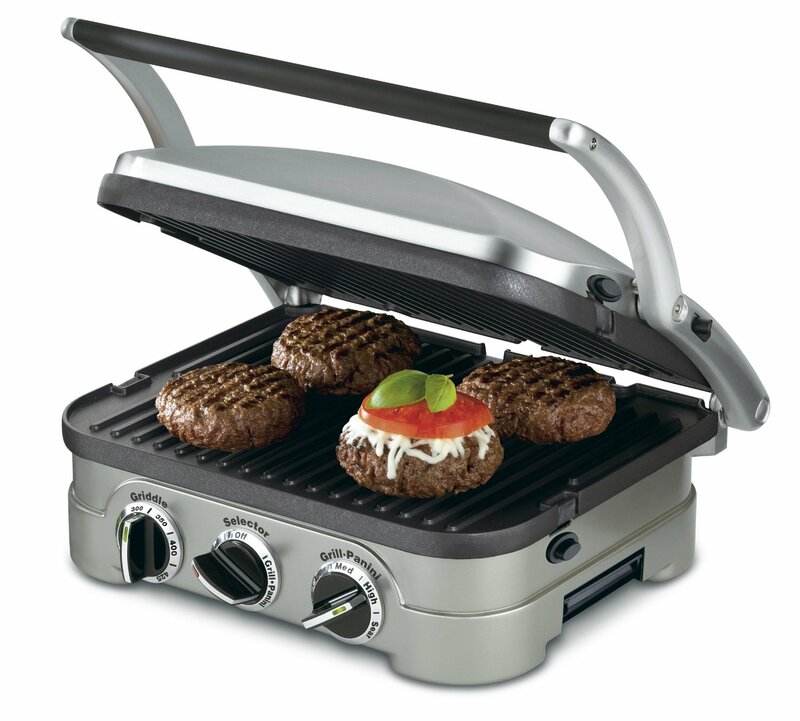 This grill allows for the best possible temperature control through its turn nob dial that gives you all the power you need to cook those perfect burgers. The plates are nonstick and are gently sloped to allow fat to run off into the unit’s extra-large drip tray. Large drip trays are a godsend for those people who are cooking a lot of fatty meats in one go, as they mean you don’t need to empty the tray as often. Since emptying a tray safely requires you to wait until it has cooled, this is something that large families should look out for. 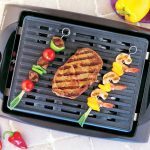 This great grill is available in 2 different designs with one of them coming with a special window lid so that you don’t need to open it to be able to see how well your food is coming along inside. Though it’s a handy feature, it might not really be worth paying the extra money for. If there is one thing that feels great in a grill it is that it is multifunctional. 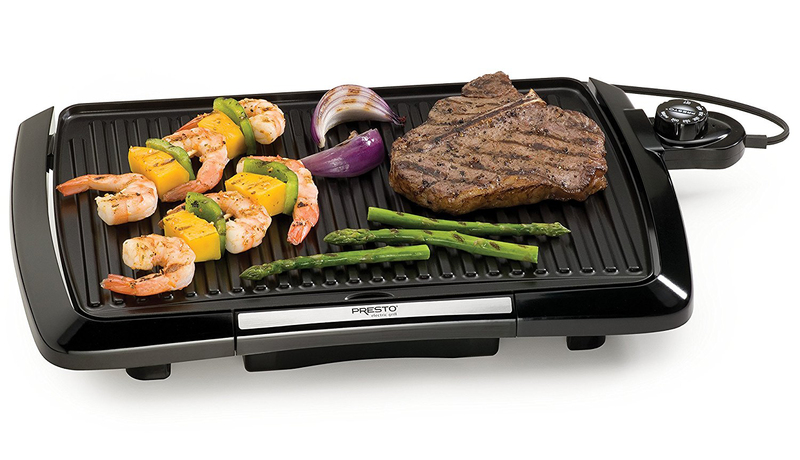 This 5 in 1 grill is the perfect grill for people who like to vary the things they are cooking. The reason this grill is able to do so much is due to its dual grill plates that are able to open out fully to become two separate bottom grill plates. This function means that not only are you about to use it as a contact grill to cook sandwiches and toasties, but you are also able to use it as two open grill tops. 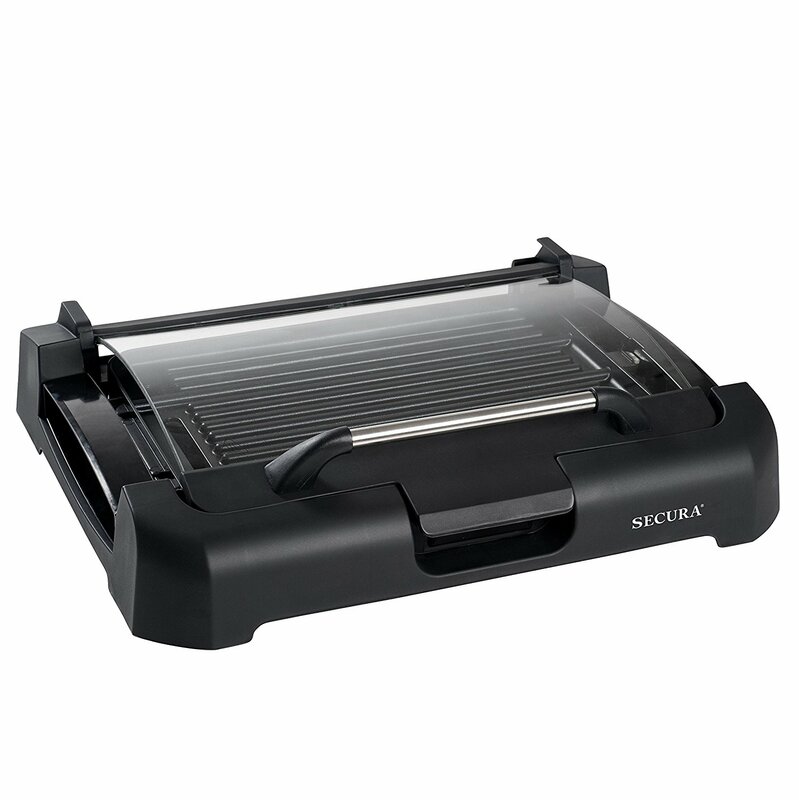 Since each grill is already a four slice size, this ability to use both grill plates alongside each other actually doubles its already phenomenal cooking power. This design is easy to use and very well built, meaning that it is definitely going to last a long time. 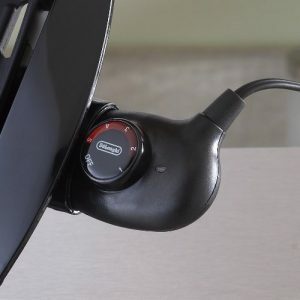 The 3 turn dial controls give you excellent control over the plate temperatures while indicator lights tell the user when it is at the right temperature. The Panini-style handle makes opening and closing it completely painless and safe while thanks to the free scraper it comes with, it is painless to keep nice and clean. If you are looking for the grill that they have on the Starship Enterprise, this is definitely it. The display is covered in esoteric dials and lights that will certainly take a little time to master. Luckily this design comes with a really good user manual that will have you up to speed in no time. Once you have got the hang of it, this is a really great all-round grill that has a range of handy presets that will cook your food without you having to keep an eye on it. The 6 cooking presets include burger, poultry, sandwich, sausage, red meat and fish. Thanks to the device’s indicator lights and beep warning sounds, you will never burn your food again. 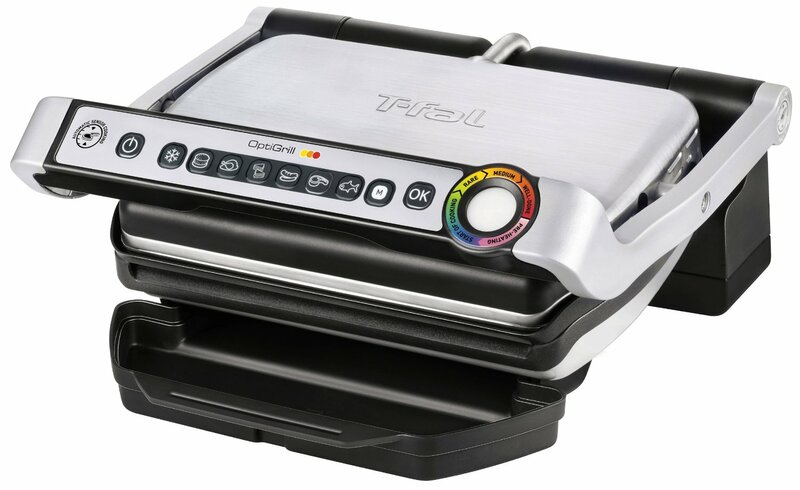 This is a great grill for all those technology savvy people out there, but not a good option if you are a technophobe or are on a tighter budget. If you are looking for a simple grill that is easy to clean then this is the design for you. This is definitely the best indoor grill for steaks due to its simple open plate design. It has a great nonstick plate that has drip channels to drain off all that unwanted fat. The design has a really effective temperature control that adjusts the actual plate temperature in a matter of seconds, giving excellent cooking control. There are no fancy extras, but this grill really does what it says on the box. 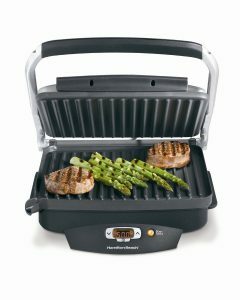 It gives a really good all-around cooking experience for those people who are interested in buying a high-quality no-frills grill. This George Forman grill has been designed as a classic toasty and panini press. It is compact and easy to store away when you are finished with it. That said, it does have only 72 inches of cooking space, making it only a middleweight on the cooking front. It is a simple on and off design with a red indicator light to let you know when the plates are up to the right temperature. It comes with non-stick removable plates that can be either hand or dishwasher cleaned depending on your preference. This is an excellent option for all of you who want a reasonable amount of cooking space and want a great grill without too many extra settings and controls. It cooks excellently and thanks to its warning light, it will be really hard for you to ever overcook your food again. 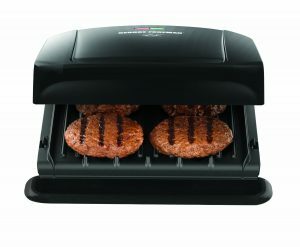 This inexpensive open grill is another great option for those of you who just want the authentic grill experience. Its simple design gives a really large cooking area which is enhanced by the units drip run off design and large drip tray. 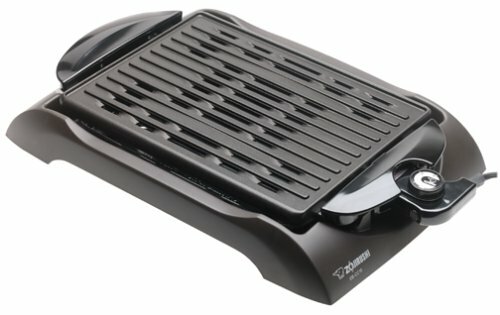 Thanks to the design, it is not the easiest unit to clean, but otherwise it is an excellent grill. It comes with a really easy to use thermostat that allows you perfect temperature control. The entire unit is nonstick to help make cooking and cleaning as easy as possible for you. It comes with a really handy tempered glass lid, allowing you to be able to look at the food as it is being cooked without the need to remove the lid and thereby lose all the heat. 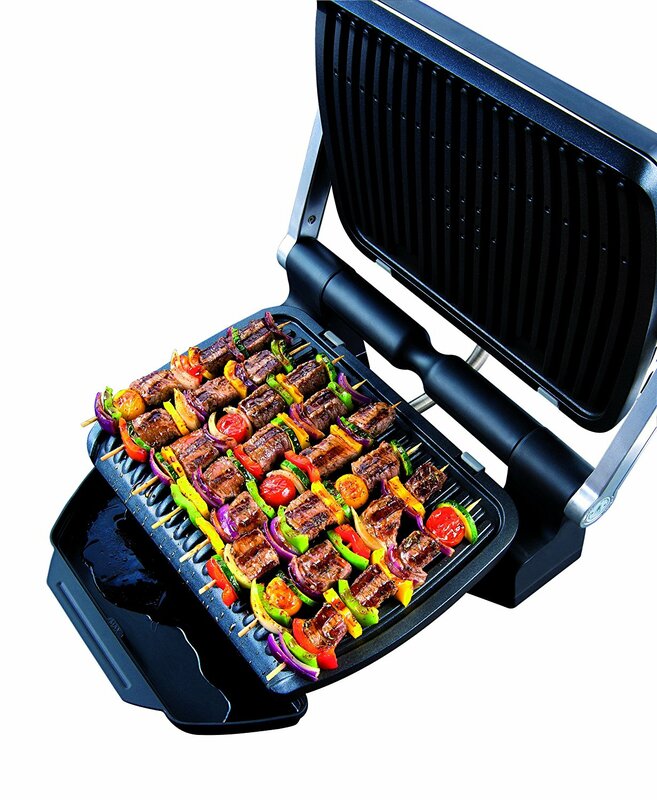 This contact grill is well designed and very easy to clean. It offers a large cooking surface, and thanks to its higher operating temperature, it can cook heavier meats and vegetables faster than other grills. It has a simple to use design so you only need to switch it on and set the temperature for it to begin cooking. It has a similar feel to an outdoor grill thanks to its grill spacing. The only drawback to this design is that though it does feature fat run off channels, there is no drip reservoir meaning that the fat simply runs out the front. For light meals and use, this is fine but is quite a nuisance for heavier usage. If you are on a tight budget and are looking for an excellent grill then this is the one for you. It is another simple open-top grill that comes with a temperature control thermostat to help you get that perfect grill experience. 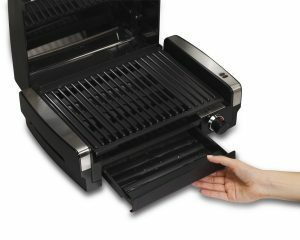 It is a 2 slice sized grill, so it is perfect for smaller families while being small enough to store anywhere. The lightweight design features drip channels and a reasonably sized drip tray too. The design comes with a handy spatula, meaning that you are ready to start cooking as soon as you pull it out of the box. This simple design is a great option for people who don’t use their grill that often but want a good quality reliable one that is easy to use and clean afterward. 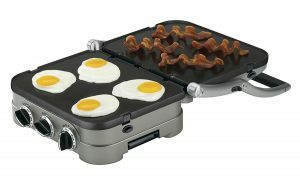 If compact multi-functionality was all it took to be the top grill then this design would have the rest beat. 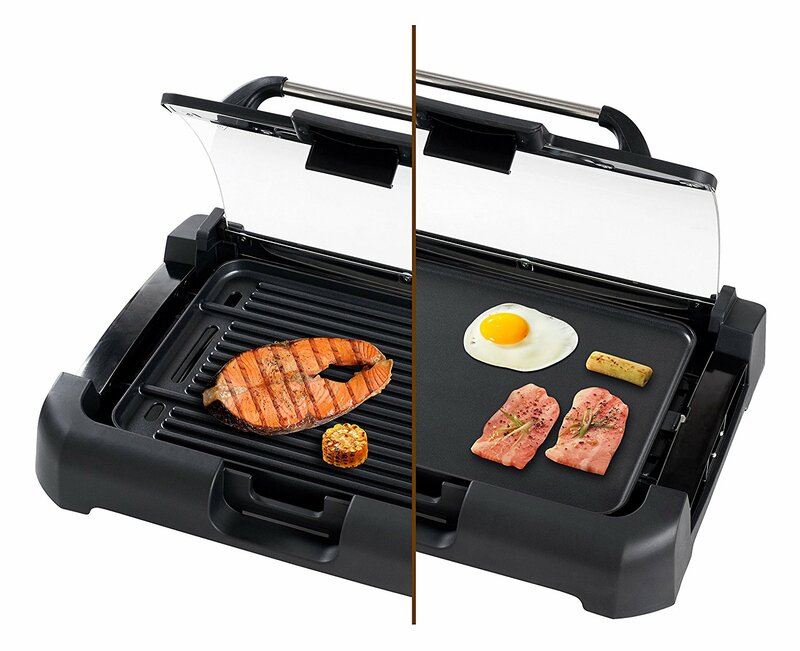 This 2 in 1 design used a reversible cooking plate that allows you to use it either as a grill or as a griddle. It has a 180-inch cooking space, meaning that you won’t be lacking for room as you can fit four slices on this easily. It comes with a glass lid so that you can keep an eye on your food as it cooks. 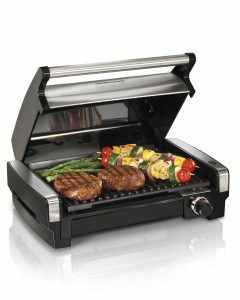 This is an excellent multifunction grill that is perfect for those families who like to vary what they cook with their grill. There are so many great grills on the market these days that it is really hard to choose the best one. This list should go some way to show you just how many great products there are on the market today and just how different many of them are. Before you start your search, you should know what you want your grill to do and then take it from there. If you prefer a more hands-on approach then you should get an open-top one, or if you prefer to close the lid and sit back and let the grill take over then get a fully automated contact design. Whichever one you choose, all of the designs featured on this list really are the top of their class and will defiantly not leave you disappointed.